Exercise pours out favourable hormones and has an anti-inflammatory impact on the body. Of course the heart benefits from exercise, but more importantly, the arteries and veins are relaxed – this causes blood pressure to drop and we are all much healthier. Exercise produces an insulin-like growth factor … it is like sprinkling ‘bounce-back’ on the brain. Neurons grow and branch, and this restores mental function. It is therefore no surprise that regular exercise (three times a week) has been shown to decrease risk of dementia by 40%. Those suffering with depression will benefit greatly from regular exercise (maybe with some music to lift your soul), adequate sleep and spending time caring for your pet. These are a great anti-dote and far more effective over the long term than alcohol or medication. I look forward to hearing about significant shifts in your health as a result of applying the suggestions in this series of blogs. As always, I am yours in health! What is the best physical predictor of early physical decline? Is there one best test? Yes, try one of these three. The ladder test: Changing that light bulb with ease is an indication that you are still in rude health – well done! Upper body strength, a good sense of balance and a lack of evidence of osteo-arthritis in the neck are all positive signs. The Get-up-and-Go test: This test, undertaken by men over 70, measured the speed with which they were able to get up from a seated position and gain momentum: walking faster than 5km/hour was an indicator of delayed physical decline. I’m OK test: This test is a far more general one. Do you sense a decline in your confidence as you interface with the world? Is there a feeling of uncertainty, a reluctance to tackle unfamiliar tasks or venture into unknown territory? This lack of confidence suggests an early physical decline. So, what to do if you fail any of these tests? Just do it! Get going – do 30 minutes of exercise five times a week. You are welcome to break it up into three sessions of 10 minutes, or two of 15, but just get going. Make sure your break a sweat, and, if you are walking with a companion, see if you can still talk to him or her while you are walking with momentum (if there is no-one with you, you can still test your fitness by chatting, but perhaps disguise that movement of the mouth – it will not be your physical fitness that is called into question!). In addition, you must get some strength training in – you want to build your core, maintain muscle and safeguard bone mass through the production of calcium. Want to reduce your risk of dementia by 40%? Read next month’s blog to find out how. My last blog ended on a woeful note. Two-thirds of South African women are overweight or obese; one quarter of the adult population is eating far too much sugar; one in two women, and one in three men, under 40, failed a fitness test in which they had to run up and down a step. Perhaps the HSRC and Medical Research Council survey in 2012 accurately summed up the state of South African health, entitling the study: “Sick, Fat, Sad”. The results were not all doom and gloom, though, with smoking and alcohol abuse in households on the decline. Is this not good news? You can radically change your quality and length of life through everyday choices – and ones not too difficult to make. Small steps can create big strides. My next blog will offer you three simple ways to assess your physical fitness. There may be 50 Ways to Leave your Lover (according to musician, Paul Simon), but there are only three models of ageing – and two of them are undesirable! The first model is an early exit with a low quality of life– you get to a maximum of 75 years, and depart from this existence. Not ideal – there is plenty of residual life and purpose and value to the world! In the second model, you live longer (already better! ), but you slowly limp towards your exit over years of ill health. It’s a slow decline to death, with little quality of life in your latter years. You are not able to do all you wish to do, so this is an unenviable option. The third and final model is what we would all love to experience – we live long and healthy lives that suddenly and sharply decline just prior to death (at about 90 or older) … no protracted ill health, no extended periods in the hospital or frail care. What can we do to move ourselves closer to the third model? Ageing is an interplay between our genetics and our environment. Some conditions, such as cystic fibrosis, has been found to genetically passed on; however, many more illnesses are dictated by the environments in which we live and the lifestyles we choose. There are some conditions that straddle both sources – cancer, heart disease and diabetes can be attributable to both genetics and our living conditions. The really great news is that we can exert a great deal of control over our wellbeing simply by the lifestyle choices we make. Sadly, South Africans don’t fare too well in this endeavour, and we are reaping the unhealthy and unhappy results. What to do about it? You may think this might be heavy machinery, or possibly really fast vehicles are the most dangerous. But, no, you would be wrong. You may be surprised to learn that it is an everyday piece of furniture to be found in homes, offices, schools, government institutions. It is the ubiquitous chair! Research has found that being seated for six hours or more a day has an enormous impact on your long-term health. A 2012 study in which the lives of a select group of Norwegians was tracked for 14 years yielded the following results: sitting was the most common factor contributing to death. Sitting is an independent risk factor; that means that no amount of exercise can mitigate the impact of six hours of sitting every day. The key is always to interrupt your sitting – at least every half hour – by activating your body in some way: visit the bathroom (on a different floor to your office would be a great idea! ), make yourself a cup of tea (imitate your favourite Strictly Ballroom star while waiting for the water to boil), or simply turn around in one direction, then another. This may seem a small action but it makes a huge difference! Set reminders for yourself if you need it – but make sure you are not in that same position hour after hour (often an unhealthy posture, anyway – hunched over a computer screen or slouching on a couch!). Here’s to a healthier body and better posture – just from a few simple moves. Calorie restriction has the most positive impact on ageing. Of course, all fads promise that you will lose weight. Dr Derman asserts that we each have different genes that dictate how our bodies respond to different diets. The trick is to discover what suits you. sugar is enemy number 1! There is no need to be super-lean when older – simply maintain a healthy weight. Retire Successfully has adopted the motif of the kaleidoscope as a reminder that just a slight movement can create a whole new picture. Luckily, I am in agreement with the sentiment – make small changes to your lifestyle and you can dramatically increase your chances of living a healthier life. A little exercise decreases your risk of death from such life-threatening diseases as cancer, stroke, hypertension by over 25%. So, the question is: Why do people not exercise as they should? If I offered you a tablet that would prevent these serious conditions, you would undoubtedly accept and swallow it. Knowing that exercise has just this effect, what is really stopping you from adopting this positive change? Think you are too old? Even if you have not exercised for years, just start correctly. Get a programme or the help of a biokineticist. Too fat? Even if you are obese, your fitness protects you from death. Fatter and fit is far healthier than thinner and unfit. You’re too sick? Generally speaking the more unhealthy you are, the more you will benefit from physical exercise. No medication can give you the same benefit. Remember to consult your doctor prior to exercise and never exercise with flu! We tend to over-complicate our lives. Make small changes, and don’t be too hard on yourself. Even a pilot just keeps making tiny corrections to keep his aeroplane on the right route. In your quest to maintain optimum health, you may find the following short descriptions useful in guiding you to grow your own medicine … keep fit, get some sunshine D and enjoy yourself at the same time! Basil is an all-time favourite. The young leaves can be used to alleviate flatulence, applied to cuts and grazes and can encourage appetite (annual). Chamomile is used as an infusion, as in tea, to diminish skin problems, anxiety and inflammation (annual). Chew leaves of the Feverfew plant to relieve headaches, arthritis and skin irritations (perennial). Italian parsley is full of nutritious elements and excellent for flatulence and halitosis (biennial). Sage means “to heal”, and is used for throat and mouth infections (perennial). Thyme’s strong antiseptic qualities are useful to heal coughs, congestion and indigestion (perennial). St John’s Wort helps with depression, but it is advisable to discuss using it with your doctor first (perennial). Common colds have been warded off for generations with chewing mint at the first sign of the sniffles. Mint contains an extremely high antioxidant that fights the onslaught of colds and flu. Mint, rich in a property called rosmarinic acid, helps reduce symptoms of allergies that pop up seasonally, like hay fever. Try taking your mint in the form of a tea. It does not lose its potency when added to boiling water. Mint helps to regulate your flow of stomach acids, hence the flavour of peppermint in many antacid tablets. Always keep peppermint essential oil in the house, picnic basket and first-aid box. It is a good reliever of itchy bites, rashes, bluebottle stings and mosquitoes. IBS (irritable bowel syndrome) is a common and often embarrassing stomach upset, and is generally brought on by anxiety or stress. Peppermint oil has a proven record of effectively reducing IBS. 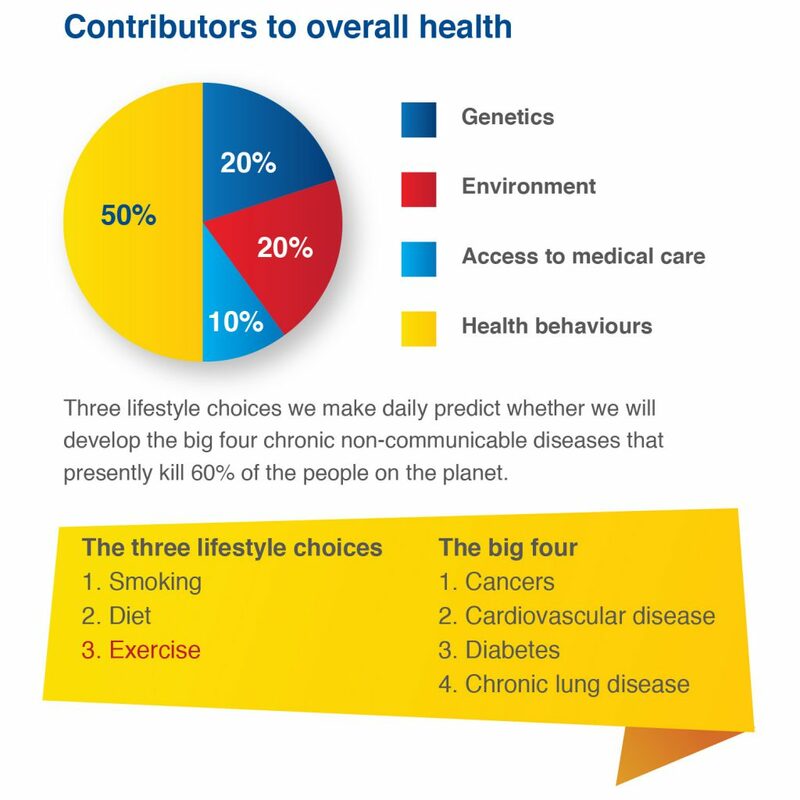 The good news is that we can control our health by the lifestyle choices that we make in terms of diet, exercise and smoking. This blog examines the role of regular exercise and other interventions in stress management. Regular physical activity plays an important role in reducing and attenuating the stress response and thus the chronic effects of stress. Regular exercise has indeed been shown to exhibit a marked stress-busting effect, comparable to the effect of medications. Exercise training has also shown to increase the synthesis of new nerve cells in the adult brain. Whilst endurance type exercise has been the focus of most exercise training studies, the effects of muscle strength and endurance on the chronic stress response is also important. Regular practice of yoga has shown clear benefit in stress reduction. Martial arts have also been well researched. The majority of studies on Tai Chi have focused on health and well being of older Tai Chi participants. The results of these studies indicate that Tai Chi may lead to improved balance, reduced fear of falling, increased strength, increased functional mobility, greater flexibility, and increased psychological well-being, sleep enhancement for sleep disturbed elderly individuals, and increased cardiovascular functioning. Current guidelines for exercise interventions for optimal health and prevention of chronic disease include the accumulation of 150 minutes of moderate intensity (brisk walking) aerobic type exercise a week. Two sessions of resistance training (in the form of elastic band or circuit weight training); 8-10 exercises of 8-12 repetitions each are also recommended. Biofeedback is a method of stress management that uses monitors to feed back to patients about their body’s own physiological information of which they are usually unaware. By watching the monitor, patients can learn by practicing certain techniques to adjust their thinking and other mental processes in order to control “involuntary” bodily processes such as blood pressure, heart rate, heart rate variability, temperature, muscle activity, gastrointestinal functioning, and brain wave activity. Examples of biofeedback equipment useful for stress reduction and available in South Africa include, Heart Math, Journey to Wild Divine, Healing Rhythms and the Stress Eraser. Meditation is defined as a specific technique involving self-induced regulation of attention, towards the present moment. The various techniques of meditation can be classified according to their focus. Some techniques focus on the field or background perception and experience, also called mindfulness based meditation whilst other techniques focus on a pre-selected specific object of attention, and are called concentrative meditation. There are also techniques that shift between the field and the object. Mindfulness based meditation, involves the meditator sitting comfortably and silently, centering attention by focusing awareness on an object or process (the breath, a sound, visualization or a mantra). The meditator is usually encouraged to maintain an open focus. Concentration meditation is used in most religions and spiritual practices where the meditator holds attention on a particular object e.g., a repetitive prayer. In some traditions, such as Vipasana mindfulness and concentration are combined. Meditation can also be practiced while walking or doing simple repetitive tasks. Develop a support system and share feelings with family, friends or a counselor.